The PatientFORM 8″ Thumb Spica is a great solution for wrist/thumb support and immobilization. Constructed of a lightweight, durable material, this brace offers maximum protection. Durable, lightweight material is Lycra-lined for breathability and comfort. Removable and malleable aluminum palmar stay provides support for palmar surface of wrist and extensor surface of thumb. 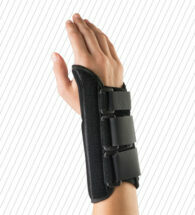 The PatientFORM Wrist Brace is a great solution for wrist support and immobilization. 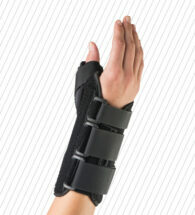 Constructed of a lightweight, durable material, this brace offers maximum comfort. Removable and malleable aluminum palmar stay provides correct fit and proper support. Available in three lengths – 6″, 8″ and 10″. 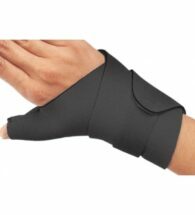 Wrist/Thumb Wrap Neoprene construction provides compressive wrist support with thumb abduction. One size fits most patients. Right or left. Ideal for soft tissue injuries to the thumb and wrist.